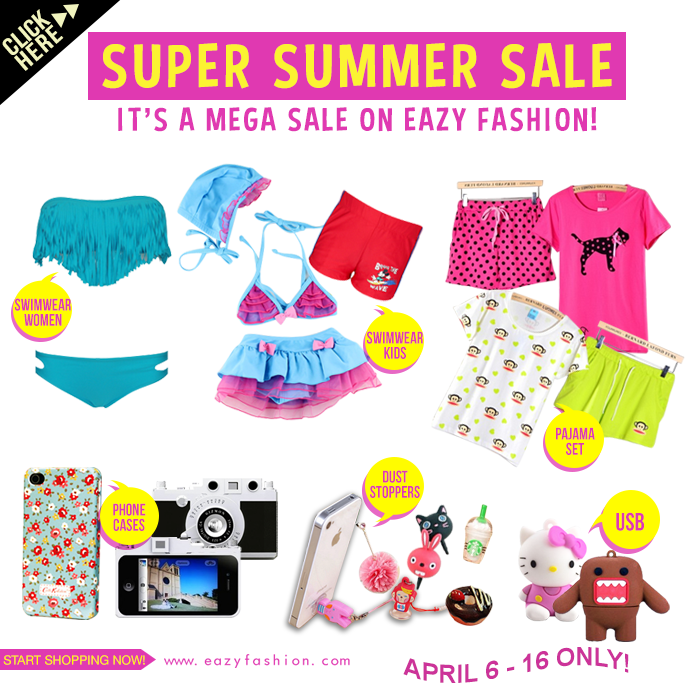 Eazy Fashion SUMMER SALE! Up to 70% off Discount from April 5- 16! Choose from a wide range of SALE products range from gadget accessories, women & kids swimwear, women clothing, shoes and many other more!!! 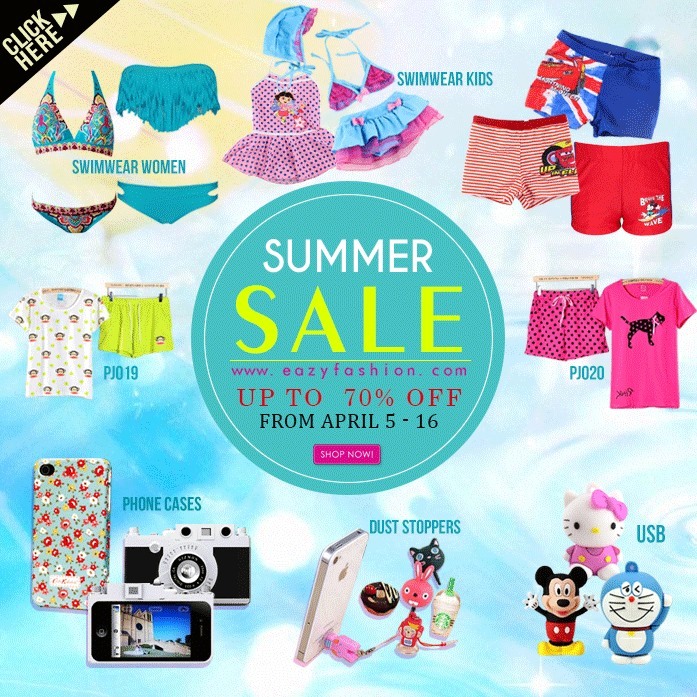 Visit the biggest and hottest swimwear shop in the Philippines! Grab Yours Now Before the Stocks Run Out! 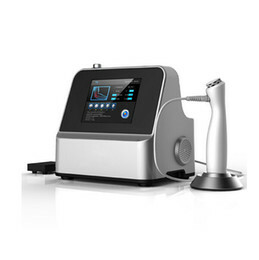 Unbeatable Design, Quality and Price! Most complete Korean and European designs! 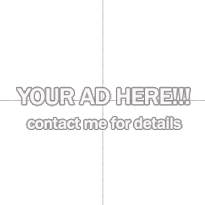 Whether you are looking for the sexiest or conservative design you will find your style and size here! 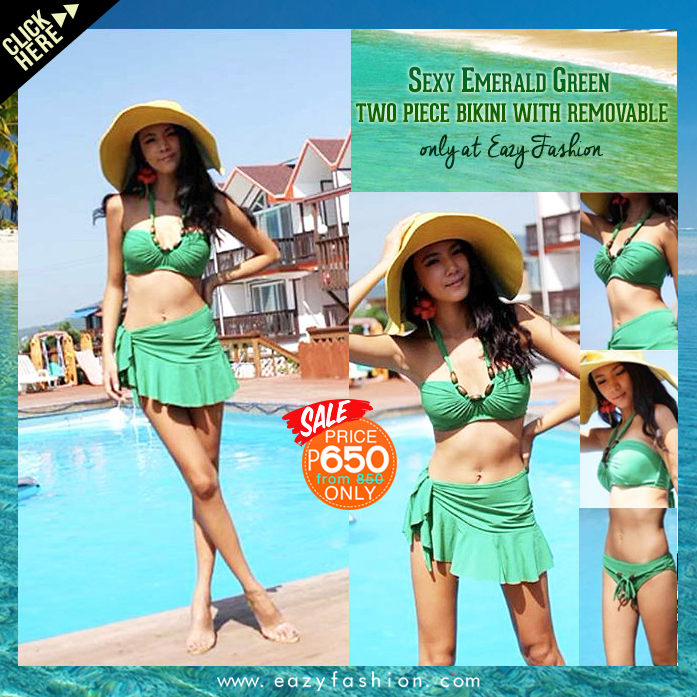 I can definitely attest to the quality of their swimwear and other items! I love Eazy Fashion! So affordable and stylish! Order Now before the Stocks Run Out! 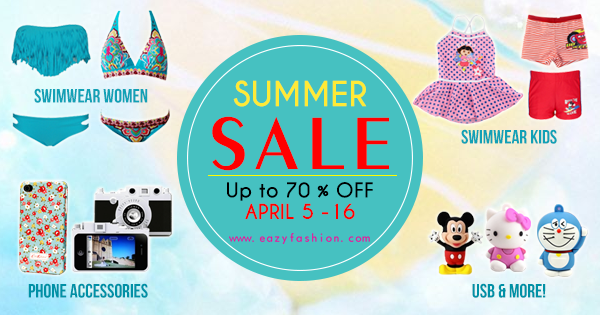 Visit www.eazyfashion.com to Enjoy the Discount!